For years at Fairway Pizza, we have served delicious Northern Style Pizza and great food in a warm, comfortable atmosphere. For that reason, many of our customers have become like family to us. We hope to make you a part of our family also. Our food is prepared from our own recipes, using nothing but the best and freshest ingredients available. So enjoy, and welcome to the Fairway Pizza family. $1.50 Domestic Drafts ALL DAY! $13 Buckets of Domestic Beer ANYTIME! Indoor and outdoor bars where you can watch all MLB, NFL, NHL, NBA, PGA, and NCAA games. Our outdoor deck is dog-friendly and heated during the winter months. 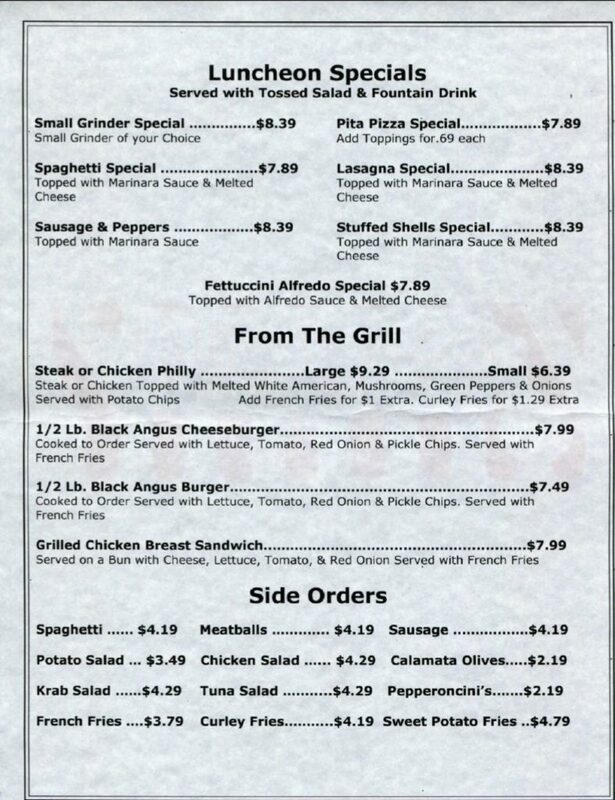 Our delicious lunch specials start at $7.89! Every lunch special includes entree, salad and a soft-drink! At Fairway Pizza, our dough is made fresh on premises daily and all of our Northern Style Pizzas are made to order. Our robust menu features fresh ingredients and includes great choices like; Fresh Greek Salads, Pasta, Hot Oven Grinders, and Wings. Just a few of our specialties. In addition to indoor and outdoor dining options, we take phone orders and offer delivery. There is a $15 minimum and $2 charge for delivery.